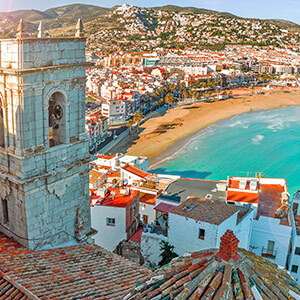 Valencia, with its nearby Albufera, mother to the delicious paella, and its coast full of tourists during the summer, is one of the most visited and beloved cities in Spain, but where are the flowers in Valencia? The capital of the Valencian Community is home to beautiful gardens, such as the Viveros Gardens, famous for their history and landscape design, the elegant Hesperides Garden or the emblematic Turia Park/Garden, which runs along the old riverbed of the Turia River. These ones along with other gardens and walkways in the city are further embellished with flowers that adorn them in the spring when the city begins to fill with life with their famous Fallas. Sending flowers to someone's home in Valencia seems something natural because Valencians are used to live with the scent of orange blossoms perfuming the entire community and to feel the rain of petals falling from the carriages during the spectacular Batalla de las Flores, which takes place in July during the fair of Valencia. Would you like to buy flowers or send flowers in Valencia and you don't know how to create the perfect bouquet? 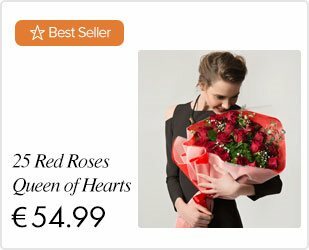 Don't worry, Lolaflora has a great selection of flowers in Valencia and you can choose the arrangement depending on the occasion or the person you want to send them to. 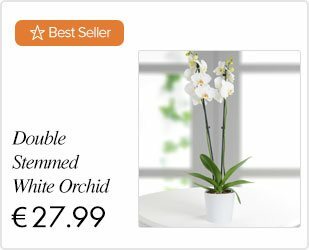 Buying fresh flowers in Lolaflora is very simple, you choose your preferred arrangement and we will get in touch with the florist in Valencia to manage the shippingdeliver the best flowers of Valencia. It's that easy! We assure you that the flowers delivery in Valencia reaches every place, always on time and with the custom message that you want to add to your order. If you want to send flowers to Valencia, Madrid, Barcelona, Sevilla or all across Spain, you are in the right place!